The Bahamas International Film Festival is a non-profit organization dedicated to providing the local Bahamian community and international visitors with a diverse presentation of films from around the world. 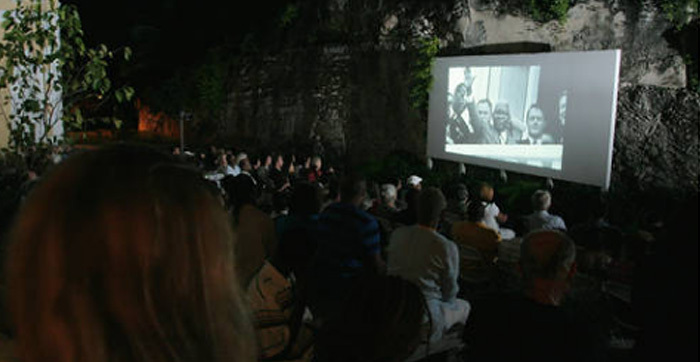 In addition to offering films that might not otherwise be released theatrically in the Bahamas, BIFF provides unique cultural experiences, educational programs and forums for exploring the past, present and future of cinema. In June 18, 2012, former U.S. Secretary Hillary Clinton delivered a video message addressing the example of Nassau, Bahamas civil society joining together with the US Embassy to advocate and break barriers to raise awareness by showcasing films that combat discrimination. Nominee for the Democratic Party for President of the United States Hillary Clinton BIFF video highlight. Additionally, BIFF has succeeded in promoting The Bahamas as a tourist destination and potential cinema production venue through its annual events. Prestigious publications featuring the Festival include The Hollywood News Reporter, Variety Magazine, Hollywood Report and Moving Pictures Magazine, Premier Magazine, all published in Los Angeles. Publications that featured the Festival are: New York Times, Financial Times, Travel & Leisure, Screen International, Entertainment Tonight, Hello Magazine and London Times. A quote from one of Hollywood's Best known Film Critic & Author of "The Stories My Father Told Me". Jeffrey Lyons . "The Bahamas International Film Festival is a shining light among a large field of film festivals. I know. I've been attending festivals in Cannes, New York, in Breckenridge,Colorado, and elsewhere. Bahamas has an astonishing intimacy about it. Young filmmakers, many of them talented Bahamians, get to rub shoulders with movie stars and established filmmakers; contacts they might otherwise not have. It also brings the world to the Bahamas. It helps put Bahamas on the map among international film festivals; movie stars, directors, writers and other filmmakers have come to the festival and have spread the word. Just ask Sir Sean Connery, Johnny Depp, Nicolas Cage, Laurence Fishburne and other stars who've been honored or attended. It is a celebration of international artistic achievement in one of the most beautiful places on earth, and a vital part of The Bahamas' standing as a creative Mecca for all."